There’s more to a school lunch than the main meal, so what are some healthy snacks that you can pack in your child’s lunch box? These healthy snacks are all kid-approved and will keep their energy levels up throughout the school day. You’ll never want to pack sugary, syrupy fruit cups once you try making your own homemade fruit salad. All you have to do is slice up your child’s favorite fruits like apples, bananas, and blueberries, then squeeze some lemon over the top to keep things fresh. If you’re concerned about keeping snacks cold dried fruit is a tasty and healthy snack alternative. 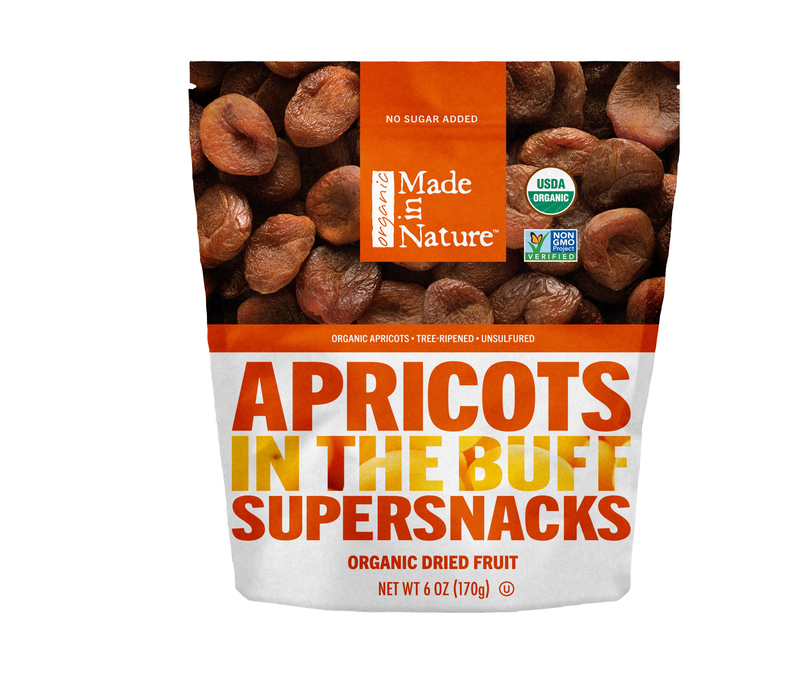 While I’m not a kid, I am a kid at heart, and I think these juicy Made in Nature Organic, Unsulfured Apricots would be a real crowd pleaser. Made in Nature’s Organic Tropical Fusion is another one to try! Homemade trail mix is a great way to avoid unnecessary sugar and preservatives in your kids’ snacks. You can use any combination of dried fruits, nuts, and other additions to customize it to their tastes. This recipe has a sweet surprise that makes standard popcorn even tastier — Made in Nature Maple Madagascar Vanilla Toasted Coconut Chips. If your kid enjoys kale, try including some kale chips in their lunchboxes. Made in Nature’s Bedda than Chedda Kale Chips are bound to please even the pickiest of palates and are great for school lunches. Plus, they’re a healthy alternative to potato chips and other processed foods. Grab a small mason jar, fill the bottom up with hummus, and then stick veggies into the dip. Carrot sticks, celery, and bell pepper strips all work great with this system, and everything stays nicely contained. I love these No Bake Almond Bliss Bars for several reasons. They were created by a child in Toronto, and that means they’re a snack that the entire family can make together. They also use dates — feel free to swap out the medjool dates for Made in Nature’s Organic Deglet Noor Dates. Would your kids love these awesome snacks? Do you have any other awesome, healthy snacks to add to this list? Head over to the comments and get the discussion started!